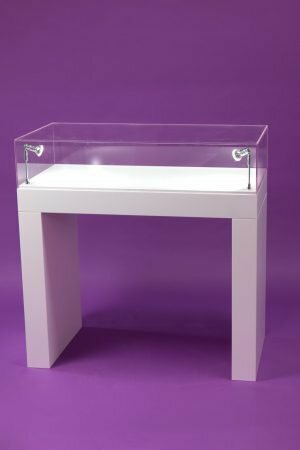 This plinth stands 110cm high with a glass cabinet on the top which is 30cm high. That makes this a very tall cabinet (see pictures with Ellie) where people will be looking at the products at eye level. The images shows Ellie taking the candles out of the cabinet which demonstrates the height of the case for you. The width is 100cm long. In order to dismantle, the lights come out of the cabinet and the legs come off the table. 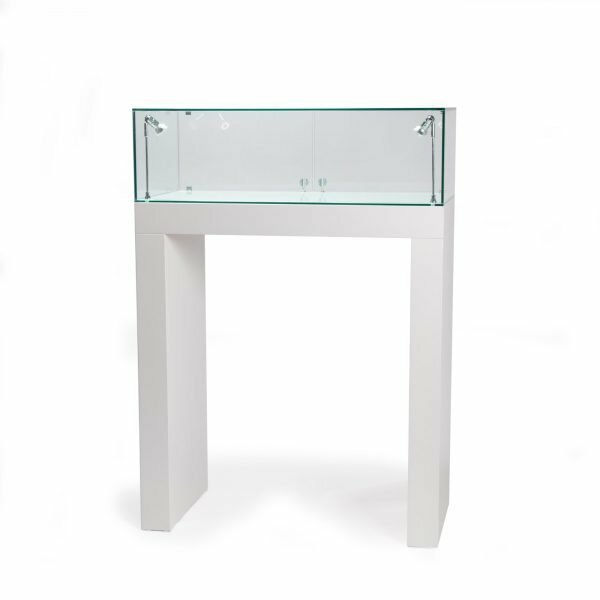 The glass cabinet does not dismantle and you will need to make sure they you keep the packaging for transport. Ideally 2 people will be needed for the dismantle and the glass case is 30kg. From experience we have found that domestic couriers do not insure glass, so this is not transportable by the likes of Fedex and DHL, the shipping would be on a pallet only. If you are going to be having this delivered to a home address without a fork lift truck then we do advise 2 or 3 people are there to be able to help as it is a large delivery. 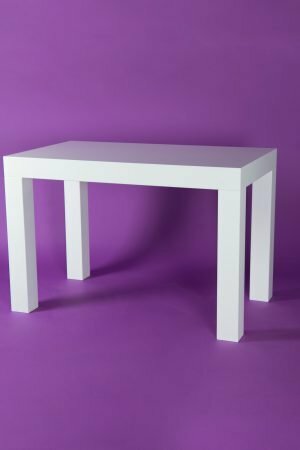 If you need the products to come with a courier you will need to look at the flat pack table with acrylic on the top instead. Acrylic is much lighter and possible to send with a courier without having the issues of it breaking. 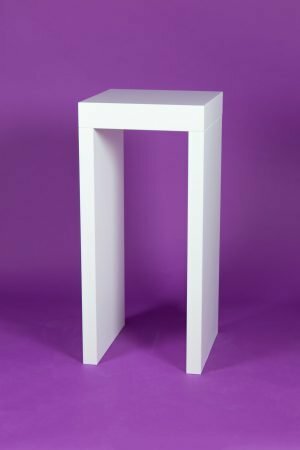 There is not a price on this product due to the fact that we will need to speak with you in able to place an order so that we can check all of these factors and make sure we can make your lead time.